It worked in one library. But when I replicated the same in another library it doesn't seem to get triggered, as i couldn't see any history for the new flow. I have write access to both libraries. Also, when I create flow for a library, will it work only when I upload a document or is it applicable to all users? 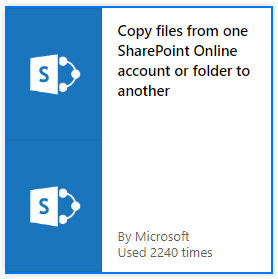 Browse other questions tagged sharepoint-online document-library office-365 microsoft-flow or ask your own question. How Does the Discard Checkout for SharePoint Online Work in User-Created Document Libraries?